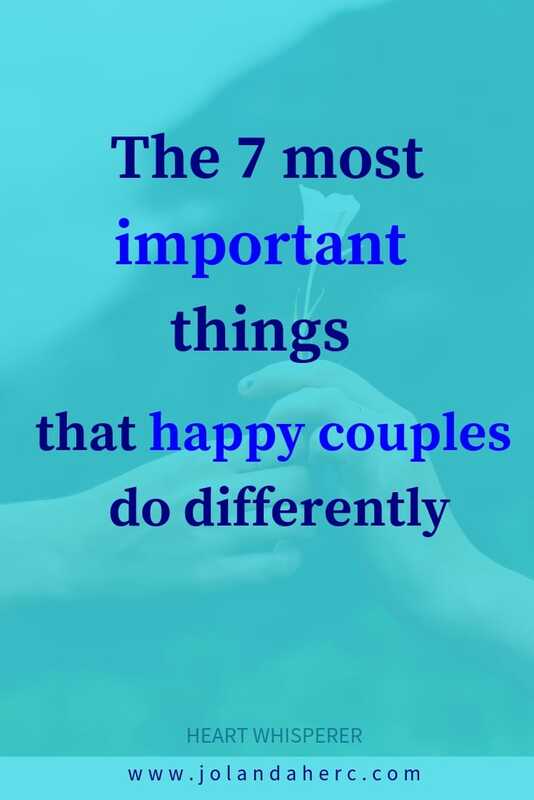 There are 7 important ways that happy couples do differently in the relationship. 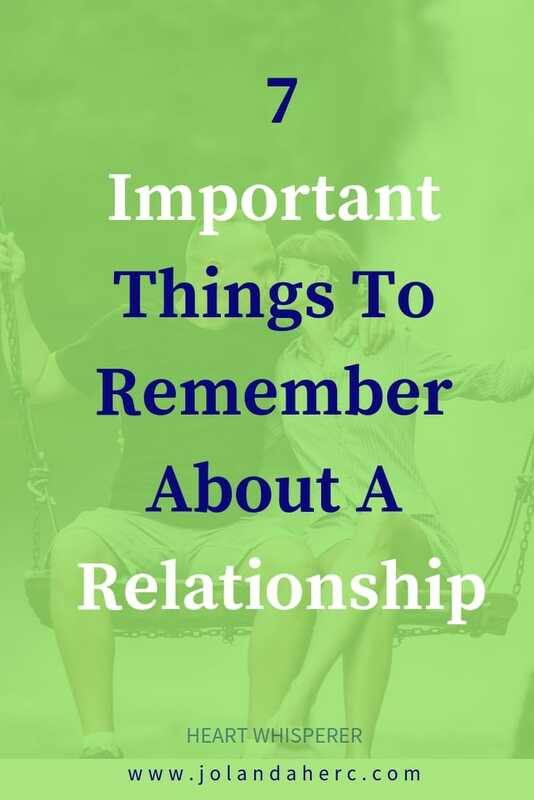 If you remember these 7 things, you will have a healthy long lasting relationship. When you apply them in your daily life, you could experience more love that you could ever imagine. It’s not your job to carry your partner, but it’s your job to care for him. Feelings behind your communication are more important than words. Trusting your partner starts with trusting yourself first. Sharing feelings happened in many ways not just by talking. Laugher and playfulness are the easiest way to feel close to your partner. 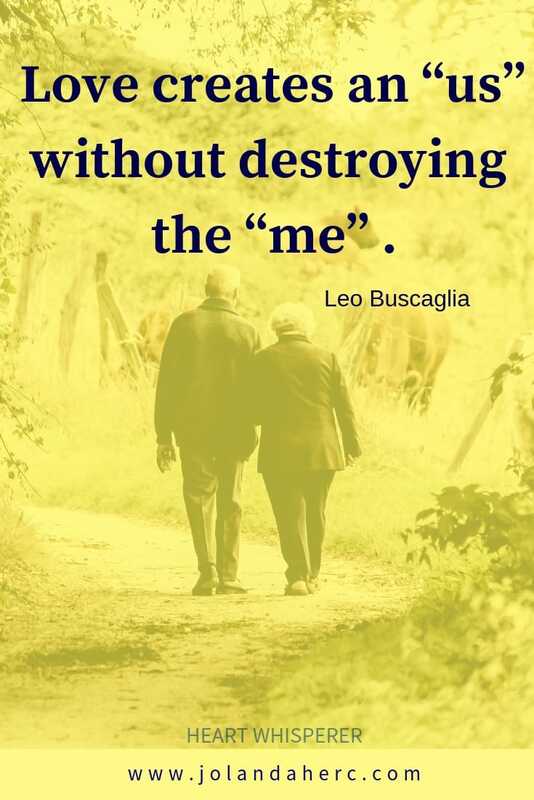 Being yourself is a foundation of a healthy relationship. You don’t need high expectations to get your needs meet in relationship. Carrying is when we worry about our partner’s life. Often the underlying message that your partner feels is that you’re afraid that he is not capable to find solutions or answers for his problems. How many times in our relationship do we think that we know what’s best for our partner? How many times do we feel the need to help our partner? In a relationship sometimes and not always this appears as a woman playing the role of the mother and treating her spouse as her son or man playing the role of the father and treating his spouse as a daughter. 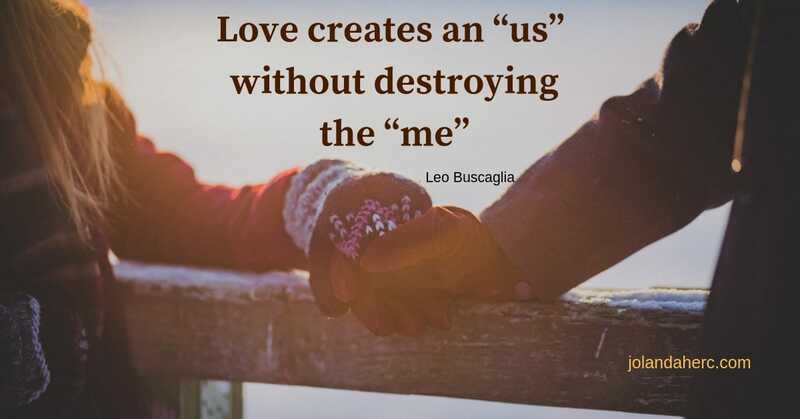 We all do that but is easier to notice that with others, then when we do that with our partner. When Ian was sharing with his wife how running or exercising would be good for her, she felt like she is not capable of taking care of her health. he was scolding her like a little girl. She already felt guilty that she couldn’t find energy and time to take care of her health and her body, now on top of that she felt that Ian believed that she is not capable of doing that. His concern and her guilt together consume a lot of her energy. Now she uses her energy to prove to him that she is capable of taking her of her healthy instead of using it to change her habits. What could Ian do differently? Caring is when you love your partner without conditions or needing to change him or her. When Ian realized that and stop worrying about Jane and start believing that she is capable of changing and seeing her that way, when he didn’t pressure her anymore to change, she felt relieved at first. She didn’t need to prove to him that she is capable of. And finally, she could use that energy to change herself. She also could felt the love that was before hidden under his concerns and that gave her additional energy to start exercising again. You attempt to feel more comfortable by asking your partner to do things ‘your way,’ is about you. You setting your partner free to figure out ‘his or her way,’ is about love. Live YOUR own life, not your partner’s! It’s way funnier and satisfying. There are so many ways and teaching how to communicate in a relationship, but most of them lacking something. What? They are missing whispers and feelings that make words alive. When we came to love relationship, the heart is the essence and the core that we want to touch. It is not using the right words; it is about how much love we put into the words that we speak. 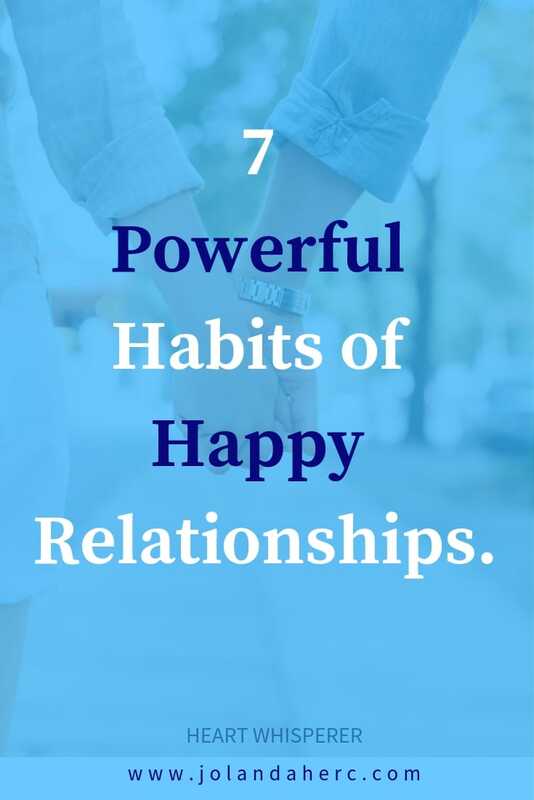 Would you like to try relationship exercises that could help you to touch the heart of your partner and with that deepen communication in your relationship? Read more about 5 amazing couple exercises for heartfelt communication here. I only need to trust myself to handle whatever he does or whatever happens in life and I need to trust the universe to only provide that which I could deal with. Even though it seemed unusual that I don’t need to trust my spouse, it filed me with great relief. This put the power for my happiness back into my own hands. I knew I could handle anything life (or he) threw at me. At the end trusting myself is much easier than trying to control my spouse behavior, especially for eternity. Just because men don’t express the feelings in the same way as women, that does not mean, that they don’t express them. They just use different language for expressing them. I don’t see teaching them woman’s way of expressing emotions as solutions. The problem is also that women believe men should feel things the way they do. Who could even say what is the right way and what isn’t? Society rules are still teaching men to hide their feelings. So, men find the perfect solution and adapt, they express their feelings outside those rules, without talking and sharing. A lot of problems in our relationships would disappear if we would stop allowing our mind and thinking to lead our heart. And with the heart, I don’t refer to our emotions, but to our abilities to listen to the inner wisdom of our heart. There will always be something that your mind wants. The moment you shift your attention from your mind to your heart, you move away from needs and should and wants in your relationship. When you think with your mind, there are rules that you need to follow to get or keep the love. There is a lot of work to do, a lot of efforts. When you shift from thinking about love into feeling the love in your heart, then you shift from hard work into possibilities to play. Instead of thinking about what you need to do to keep love, you are free to enjoy and play with your partner. The mind has a lot of rules, the heart has a lot of feelings of love. Heart have not want’s – so there is no work to do. Using the process of inquiry (4 questions – The work of Byron Katie) is a great tool to start seeing that (and getting proof of that). Playfulness and fun changes our perspective on many things, events and people, even daily chores and to do list. it brings healing of past relationship hurt, childhood pain, it frees us from self-importance. We are freer to choose new ways of doing the thing, new ways of seeing things. We don’t care if we are right because when you are in this playful state; there are no right or wrong ways. We discover that serious way to look at life bring us apart, make the distance between us and our partner. When the playful way to look at life moves us closer to other people, closer to our significant other. By accepting yourself and fully being what and who you are, your simple presence can make your partner happy. If you don’t think about yourself and give yourself what you need, what is there inside you, that you could give to others? Did you know that expectation is the most common source of suffering in the relationship? But giving up expectations? Isn’t that like giving up all your dreams and plans for the future and just passively excepting everything that relationship brings? Isn’t that like stop being actively involved in your relationship? Actually, my experience is that, when I start loving what life brings me, my relationship became easier, more fluid and more effortless. Instead of my rational, logical mind making plans and controlling everything, I could relax and wait for life to bring me what I need to do and leave the rest. I discovered that when I say yes to everything in front of me, I wound up in places I never, ever would have imagined. I used to plan everything in my life (which worked great in my job as a software engineer in the bank). I even did not notice, how boring it was, knowing everything in advance. Only when I stopped with that and unexpected things start to happen (good things) I notice how much more alive I feel when I don’t have everything planned. My day starts with I wonder what will happen today in our relationship. I could relax and have no relationship goals, no plans for what to do to improve our relationship, to bring romance back, how to connect with my beloved more. I just let life bring me ideas, put them into my heart. My part is just to listen to this subtle whisper of my heart. I finally notice that giving up expectation and loving what life brings me to mean stop planning with limited information that my logical mind has and just allow life to bring opportunities to me. and I fired my mind from the position of general manager of my life. The universe has way more information about everything that I need at the moment if I stop trying to control my life with my analytical, rational mind. That is the essence of loving what is. Life will bring me the best possible outcome.